Wildfire season is here! 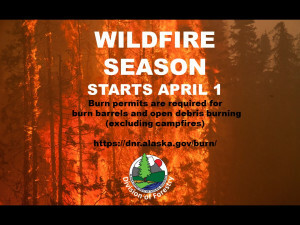 Burn permits are required now until August 31st! You can download the burn permit online, stop by the forestry office or one of your local fire departments today for your burn permit!